Perfect for fans of Sophie Kinsella, Niamh Greene and Fiona Gibson. 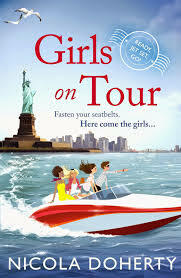 Girls On Tour is published by Headline Review and is available in paperback and ebook format. "Snow Blind" by Ragnar Jónasson. "Missing Ellen" by Natasha Mac a'Bháird.